Efrain and Danny are finally back on the street now. With this epic song comes epic responsibility and the boys have filled this episode with interviews, sound bites, rare live performances and more! Includes an interview with pianist and composer YANTA, a chat with an actual Pele Baby and a master class with a very talented Harpsichord player. A full exploration of the history of Blood Roses Live awaits you. Don’t be chicken! Get a taste of this meat! (This episode was lovingly crafted in memoriam, and is dedicated to my dear friend Natalie C. Green who entered into eternal rest on 7 April 2017. Thank you for the memories Nat and I hope you enjoyed your ride). I just discovered your podcast! It’s fantastic, Thank you so much. 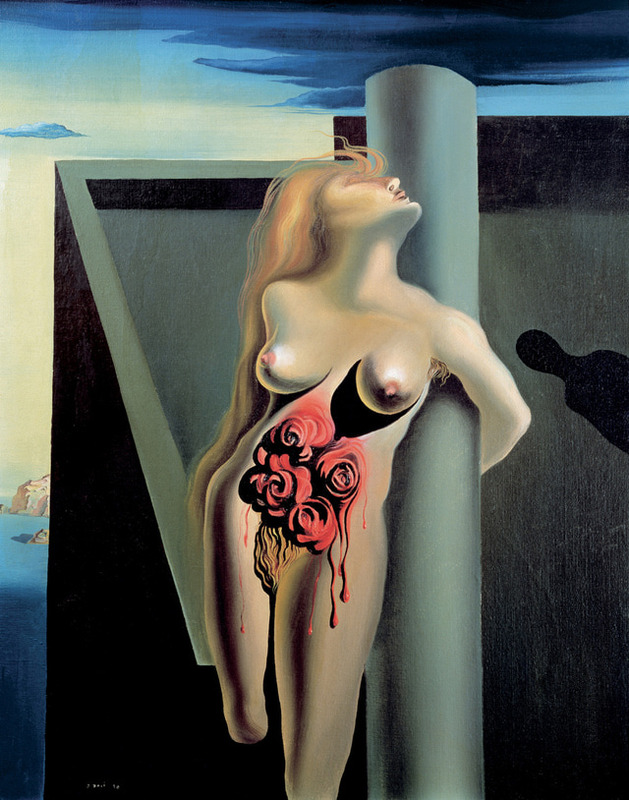 Regarding the Dali painting, I googled it and fond out that Dali’s wife was diagnosed with gyneocological cancer in 1930, which rendered her sterile. That would kind of fit with the painting as well, as the roses could represent ovaries and uterus.